As both teams are already qualified for the One Nation Cup Finals 2018, it gaves the coaches a chance to bring all players in. Neither Russia nor New Zealand opened their books. 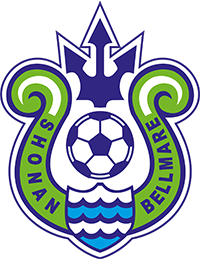 Tomorrow there will be another match at the BMW Stadion at Shonan Bellmare definitely. There didn´t happen really much in the first half, the second got much more intense. When the referee decided on intended handplay New Zealand won the chance to score a penalty. Number 12 slotted it into the goal. The kick was hard enough, for though the keeper decided for the right corner. He couldn´t save it. The Kiwi´s suffered a mayor stroke when Bukhosi got injured and will not be able to perform tomorrow. No Replies to "New Zealand – Russia	1:0 (0:0)"